CELEBRATE AND SUPPORT AT OUR 10TH ANNUAL MAY MIXER – BIRTHDAY BASH AND CHARITABLE EVENT! 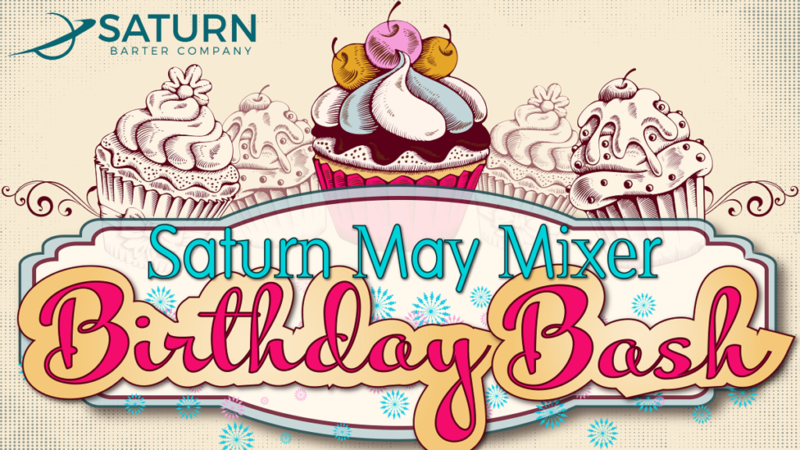 Saturn Barter Company hosts a Birthday Bash May Mixer at the Foss Waterway in Tacoma. Join us on 5/21/19 between 5:30 and 8 p.m. for food, entertainment, and charitable event! Celebrate our 10-year anniversary, and this year you can support our non-profit partners by participating in our silent auction!